What is melasma? Melasma is moreover, recognized as the mask of pregnancy or chloasma. Melasma is a very common spotty brown or blue-gray facial skin discoloration spot that most of the women might have seen in the reproductive years. It normally emerges on the upper cheeks, forehead, upper lip as well as on the chin of women with age of 20-50 years. 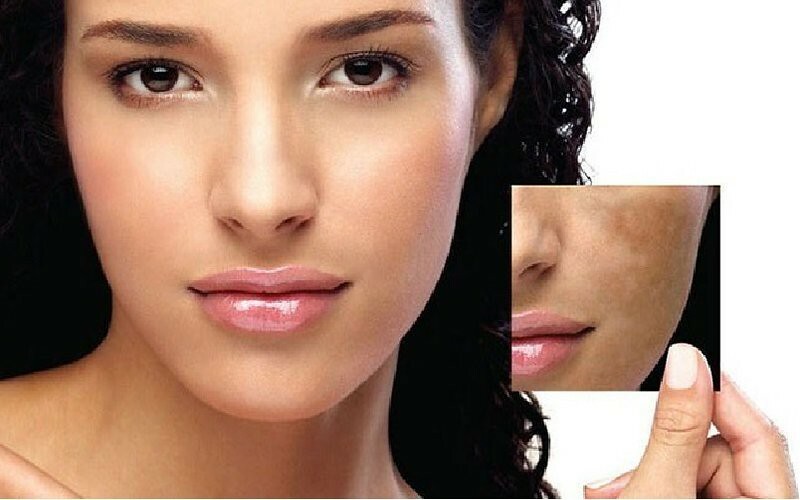 Melasma is generally seen in Indian women between the age of 25-55. It is very familiar throughout pregnancy, but the patches depart after pregnancy. In early days melasma was, firstly, considered as a suntan. However, upcoming researches to have revealed that different indications like hormonal imbalances, pregnancy and intake of contraceptive pills for a long period can also lead to this situation. What are the signs of Melasma? There are various thought and studies, there are liable for the Melasma such as intake of hormones such as birth control pills, sun exposure for a longer time as well the internal hormonal changes during pregnancy. In most of the cases, it has been found that the people with a daily routine or periodic sun exposure had more cases. According to studies and research it has been found that there are three types of Melasma or so-called discoloration- hyper-pigmentation that generally appear on the face. 1.Centro Facial Melasma: This types of melasma generally affects the central part of the face with High incidence affecting the forehead, cheeks, upper lip, nose and chin. 2.Malar Melasma: This types of melasma generally affects the cheek areas including the upper cheeks. 3.Mandibular Melasma: This types of melasma generally affects the area of jaw bones. It has also been studied that melasma affecting is very less on the other parts of the body such as the neck, forearms. As per Ayurveda saying facial beauty is the indication of mental, spiritual and physical being. It is a holistic medicine which addresses the problem from outside as well as inside. Hence, Ayurveda advises the traditional detoxification remedies driven along with rejuvenation remedies for this condition. Ayurveda recommends a pacific therapy in eight different steps for a period of 28-40 days for the complete cure of melasma. These facial treatment works toward the rectification of the blood circulation by way of the skin that in turn to detoxicate and revitalizes itself. Although the results might be slow but give the best effects than any other modern medicine or chemical based creams. According to modern researchers, it has been found that Aloe Vera consists of mucilaginous polysaccharides (MPS) that has a significant result in lightening the dark spots. Aloe Vera also mitigates and lightens brown spots and other blemishes. Ayurveda suggests this must be applied gently on the face and wash off after minutes. Take a fresh Orange peel/oatmeal mixed with milk apply this mixture on the infected area. Leave the mixture for about 30 minutes then rinse it off with warm water and perfectly dry with a clean towel. It is a good skin exfoliation that can lighten skin mark in very few days. Turmeric plays an important role in Ayurveda, the curcumin contain in it have a good antioxidant as well as skin lighting properties. Turmeric paste can be used on melasma for a better result. Its recipe is very simple to take 5/6 tablespoon of turmeric with milk mix it well. Now add one tablespoon of gram flour in it apply gently to the affected areas and wash after 30 to 35 minutes with warm water. Almond paste with honey is also a good remedy for melasma. As both honey both almond are full of proteins it has the best effect on skin-lightening. One can use this paste by mixing one cup of raw unsalted almonds with a half a cup of honey. Blend the mixture into a paste and rub gently onto the affected area and rinse after 30 minutes. Apply lemon juice is also a very effective remedy for melasma. Lemon contains citric acid, that helps to lighten skin. Its implementation is very simple squeeze a fresh lemon on your hand and applies it on affected areas. Now slowly rub and risen it after 20 minutes. Make the paste of onion seeds apply the paste on the affected area leave it for 15 minutes till it dries. Wash the face with water. Take some fresh tulsi leaves extract juice from leaves and mix camphor in it, apply this thick paste on the affected area and wash it after it dries. Triphala choornam is used as a face wash to prevent and cure melasma. To use an application you must take 2 spoons of Triphala choornam with 300 ml of water and keep it to soak for overnight. Boil this water till the color comes to brown, filter it and apply this warm water to clean the affected area gently and later apply above pastes. I totally agree with using home remedies more than expensive, risky surgery. My face mask uses turmeric and lemon juice and apply it twice a day. (morning and night) However I haven’t heard of Thriphala choornam Application before and after reading about it I will do some more research into this. I would like to use this before my mask to wash and help prevent then use the lemon juice and then turmeric after. I have read your eight steps treatment for Melasma. Could you please confirm if all these needs to be done everyday . My wife has a melasma which has affected her cheeks, nose, lips and slightly on the forehead. How do I use the 8 steps given above to treat this. Even though pigmentation marks due to melasma is extremely complicated to treat, there are some natural remedies that are fairly effective. As with any kind of Melasma Natural Treatment, it takes time. But the result is permanent and free from any side effects. Do I need to do all of these steps at once every day.